Mr. Media is recorded live from St. Petersburg, Florida, the NEW new media capitol of the world and hometown of the world’s Number One “Biggest Loser”… me! HEY! Who wrote that? I gotta change my password! Although an admitted reality TV junkie, I have pretty much resisted the whole “Biggest Loser” phenomenon. The name of the NBC show turned me off from the start and the one time I did watch it, I felt manipulated by the editing. Oh, look, the pounds are melting off that woman! I feel so happy for her! Oh, look at the fat dude! He’s getting verbally assaulted by his trainer, Jillian, because she thinks he’s not working hard enough! I feel so bad for him! Oh, no! He just had a heart attack and died live on network TV! Okay, I don’t think the last thing ever happened, but it does seem inevitable, doesn’t it? 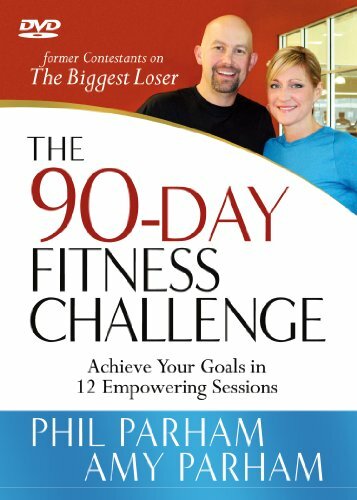 So why am I about to interview Phil and Amy Parham, 2008’s The Biggest Loser’s winners for season six? It doesn’t hurt that they have a new book and DVD, The 90-Day Fitness Challenge, to promote, of course, but I was also told they’re nice, down-to-earth folks. And from what I’ve learned of these South Carolina Realtors, it seems like they have a good story to tell. 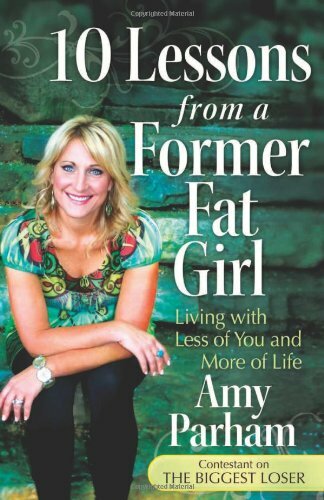 Order ’10 Lessons from a Former Fat Girl: Living with Less of You and More of Life’ by Amy Parham, available from Amazon.com by clicking on the book cover above!